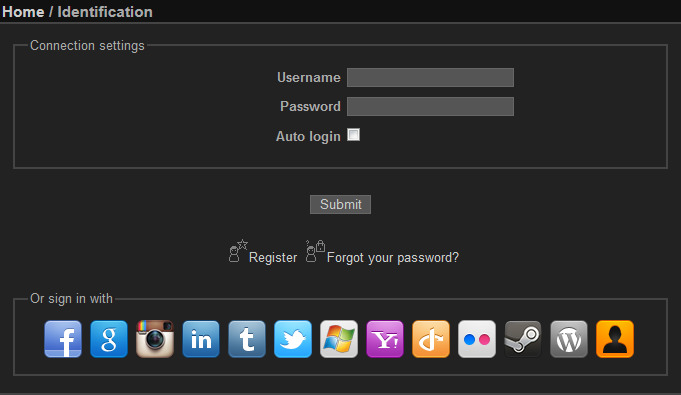 Over: Provides various ways to sign in your gallery. Facebook, Google, Instagram, LinkedIn, Tumblr, Twitter, Windows Live, Yahoo, OpenID, Flickr, Steam Community, Wordpress, 500px, Vkontakte. Each authentication provider needs to be registered first, necessary help is available on the plugin configuration page.